Confirmed iKON member Bobby poses for GQ Korea‘s Men of the Year issue which features a select group of men who have made an impact on culture in 2014. On November 24th, photos from Bobby’s photo shoot with GQ Korea were released through Mix and Match‘s official Facebook page. The Show Me the Money 3 Champion and YG Entertainment trainee is featured in the issue alongside major industry names including SHINEE’s Taemin, actor Jung Woosung, baseball player Seo Geon Chang, and artist Choi Jung Hwa. 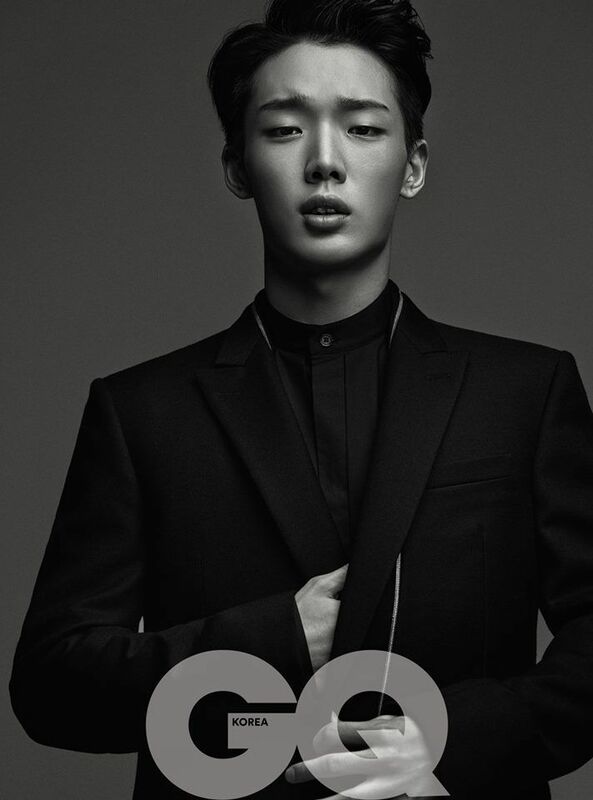 The photos illustrate a suave, charismatic Bobby as he dons a sleek suit with a classic bow tie in one photo and an all black ensemble in the other photo. His slick backed hair matches the mysterious yet sophisticated aura of his intense expression in the monochrome photos. Recently, Bobby was featured on YG Entertainment’s subunit Hi Suhyun‘s track “I’m Different” which swept charts and won their first music show win this week on Inkigayo. They also revealed a behind the scenes look at the filming for the music video, showing Bobby’s close bond with the subunit. In addition, Mix and Match wrapped up it’s final episode in October and the official line-up of upcoming boy band iKON has been confirmed, and they are set to debut in January with international promotions beginning soon after. Bobby has definitely had a busy year; it’s no wonder that GQ has chosen him take part of this issue! Take a look at the photos below!